Uva mu kanogo gana mu kiyovu, kata kuri cercle sportif ugana la gardiyene ariko numara kurenga dodane ya mbere urakomeza gato uhite ubona inzu ya etage i bumoso. Naho The Office iri. Hari Habari shop hasi hamwe nahantu bagurisha imyenda nyafurika, maze hejuru niho The Office iri. 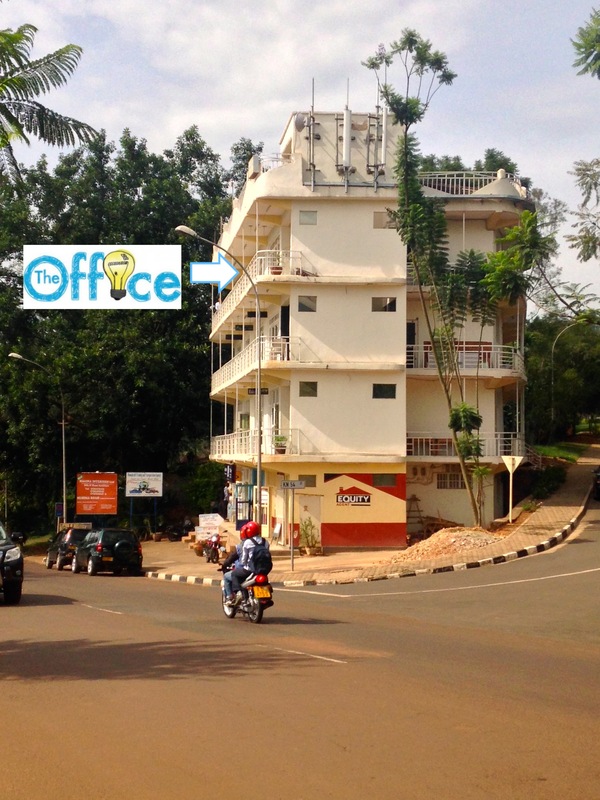 The Office is located at the intersection of KN 41 St. and KN 54 St. in Kiyovu, Kigali, Rwanda. Click Here for GoogleMaps. If you’re arriving by mototaxi, ask the driver to take you to Chez John (“shay john”) Restaurant in Kiyovu; we’re across the street. We take up pretty much the whole building, but the entrance to the shared office space is on the 4th floor. Look forward to seeing you!